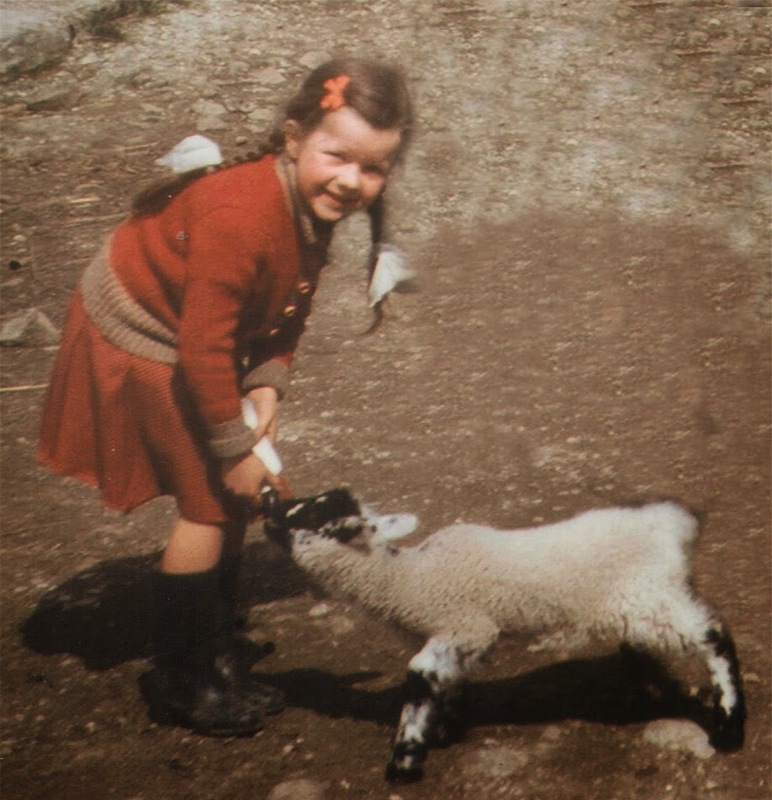 When I was very little we lived on the edge of the Saddleworth Moor where my father had spent much of his life shepherding large herds of sheep. That is probably why the only collective noun I knew was “herd”. I said that when I grew up I was going to have “a herd of cats”. I pictured myself in a field like Bo Peep only surrounded by cats of all shapes and sizes. 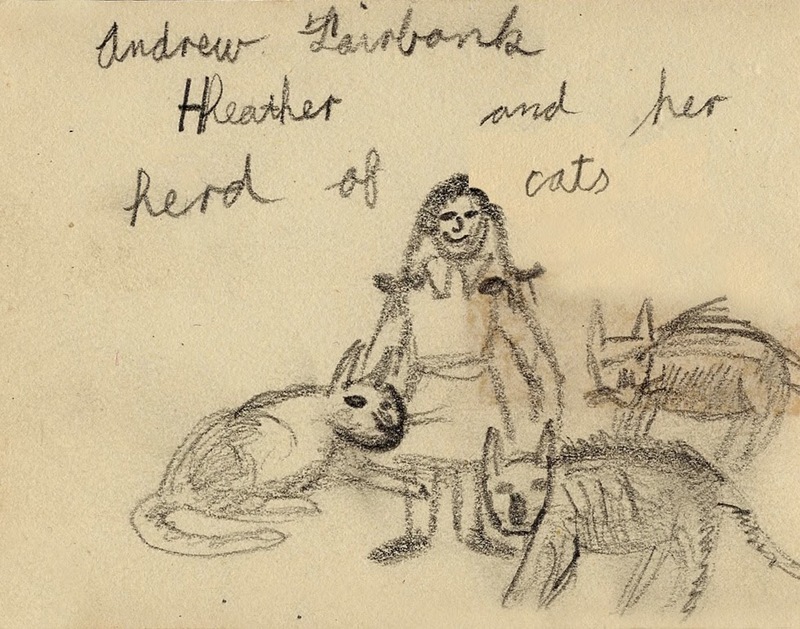 When my cousin Andrew (who became an artist) came to stay he drew a picture titled “Heather and her herd of cats” So the earliest illustration I saw being created was from a phrase I had created myself. A love of drawing started at a very early age as well as a love of stories. 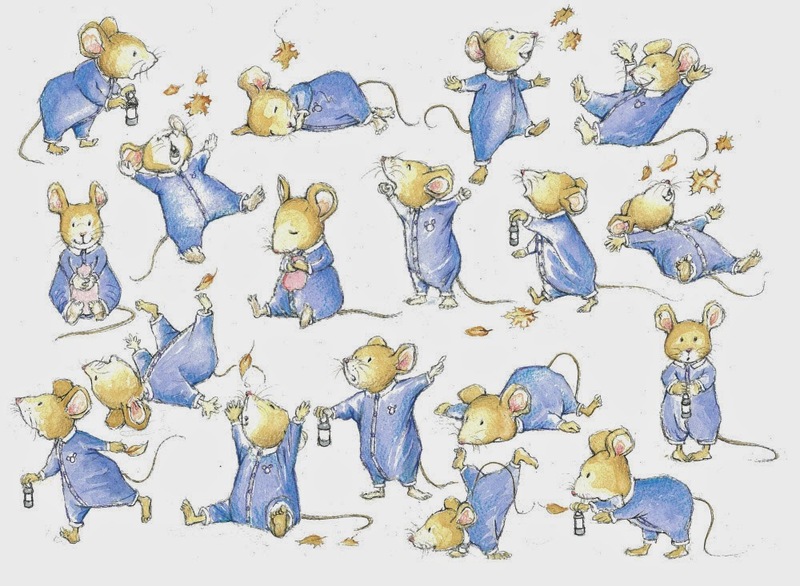 My favourite picture book at primary school was Harold and his Purple Crayon by Crockett Johnson. It was the start of a life long love of visual narrative. 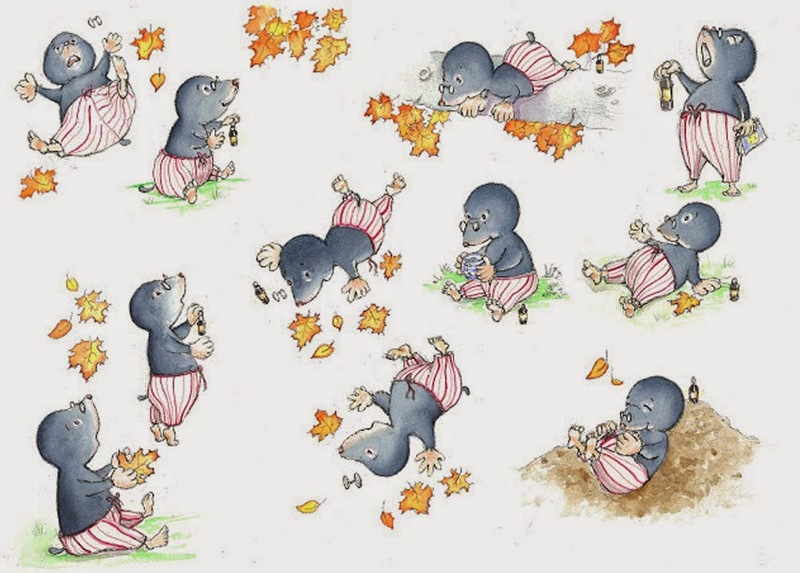 "often good ideas for children’s books come from searching into the magic of your own childhood"
I used to fill tiny books with pictures and stories I had made up about them. I often think of my early animal drawings and paintings when I am creating character studies. Being able to draw animals has proved very useful to me as an illustrator. 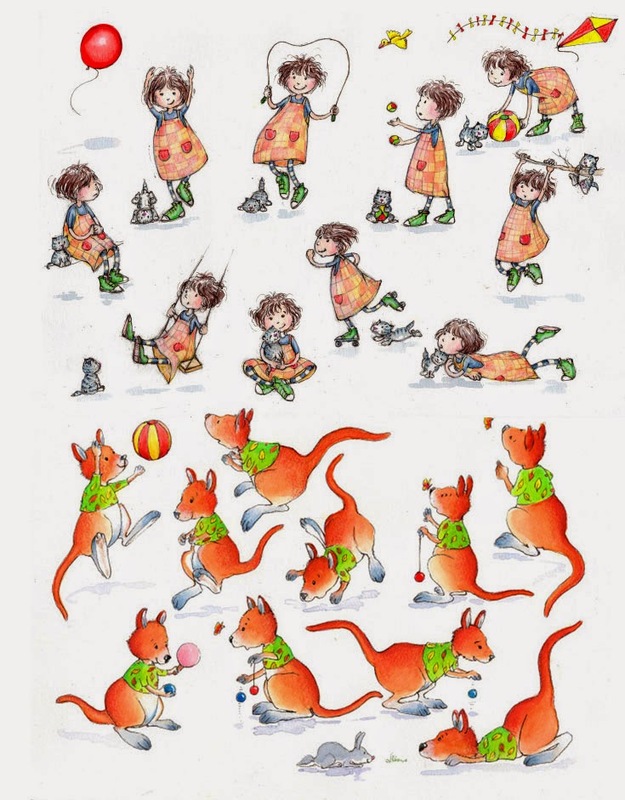 When I did my MA in Illustrating Children’s Books which I completed in 2009, Fig Taylor mentioned that often good ideas for children’s books come from searching into the magic of your own childhood. This brought into my mind a childhood memory of when I was dabbling my hand in a stream and a tiny wild duckling climbed onto my hand for a few seconds. It gradually became the basis for one of my MA picture book projects called A Mermaid on my Hand, a story about a little girl who reaches into the water to pick up a shell and finds a tiny mermaid clinging to her hand. The story was highly commended in the Macmillan competition. As I grew up I often received paints for Christmas.They would always get used up quickly. One of the things I remember about starting to paint was a growing love of vivid colour. From when I was young everything had a visual colour in my mind. This included names, numbers, letters and words. When I started secondary school all the exercise books were colour coded but the colour of the book never matched the colour in my head so sometimes I handed in the wrong book. When my children were born their names had to have the right colour as well as sound. "masks, old chess pieces, milestones, ship figureheads, jesters, lanterns, old keys and door knockers"
Sometime round about the age of ten I started to develop a love of history. My favourite children’s programme was Noggin the Nog. I loved the images. I started to like quirky objects and images that had developed in a less saturated society and seemed to have a sort of magic about them: masks, old chess pieces, milestones, ship figureheads, jesters, lanterns, old keys and door knockers. I like to include them in illustrations. My Art teacher at secondary school spent a lot of time sitting with the boys talking about football. But for me this was wonderful because he would always set someone up to model and I spent the lessons figure drawing. Life drawing is something I have kept up with ever since. I still go to a life class once a week. However it was around this time I became fascinated with Art History. "The greatest inspiration of my life has been my own children". Visiting Florence, my favourite city, many years later I realised how my love of vivid colour and narrative all seemed to come together in the wall paintings and frescoes. All these influences have stayed with me and indirectly have influenced the work I do as an illustrator. I got my first commissions as an illustrator when I was lecturing in a College of Further Education. When my children were born I gave up teaching. I filled as many sketchbooks as I could with drawings of them growing up. The greatest inspiration of my life has been my own children. I managed to keep my hand in getting some illustration commissions but by the time they were teenagers I decided I needed to do an MA course. 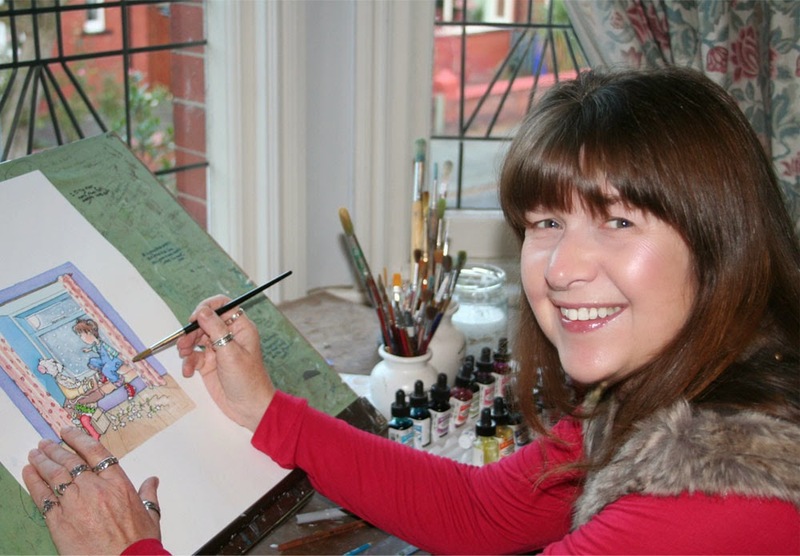 I did my MA in Illustrating children’s books at the University of Central Lancashire. The best part of the course was creating author/illustrated picture books. One of my first projects Just Like Me was about a tiny squirrel fallen from his nest. I followed that with Zoe and the Big Orange Kitten about a little girl who orders a ginger kitten but the pet shop and the zoo have got their deliveries mixed up. For my dissertation Drawing Children of Picture Book Age: to be used for Illustration and Character Development, I put my many sketch books to good use and did many sheets of character studies. My MA has been extremely useful. From there I discovered SCBWI which has been wonderful. I enjoy meeting up with all the local members. 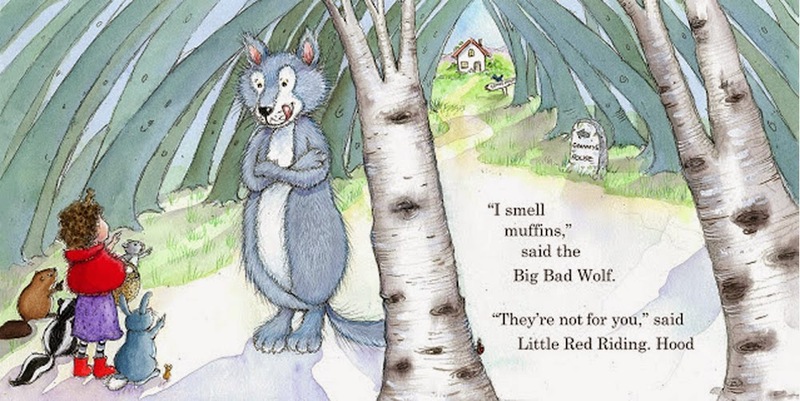 Those meetings and my illustrations on the SCBWI website have led to more work. 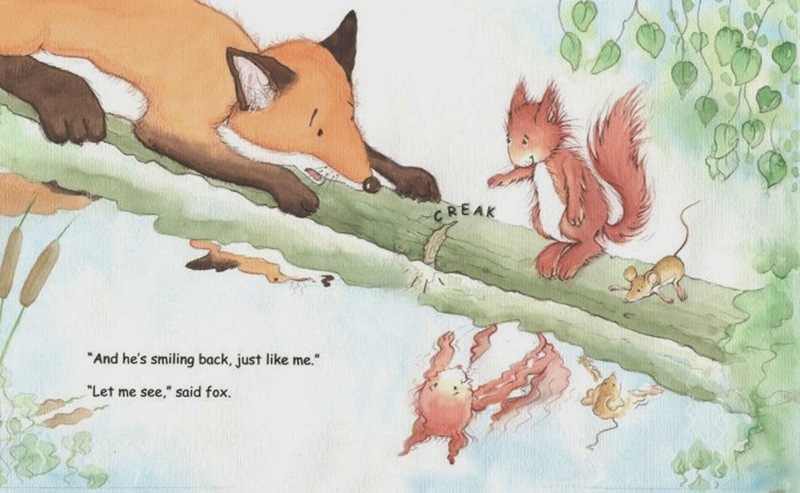 Last year I went to a London SCBWI event where I met Mark Mills of the Plum Pudding Illustration Agency and was accepted as one of their illustrators. This has led to some exciting work. When I have time I still keep my author/illustrated ideas going. My latest idea Picture Purrfect (working title) is about a cat whose animal friends won’t keep still long enough for him to do a painting. Gradually the painting turns into a portrait of someone else. A very special someone who is a big surprise for everyone. Wow, Heather, these images are so exciting! Congratulations! Thank you Candy, It's been great fun doing this feature. Beautiful work, Heather. You can see in your final work how your observational drawing pays off. 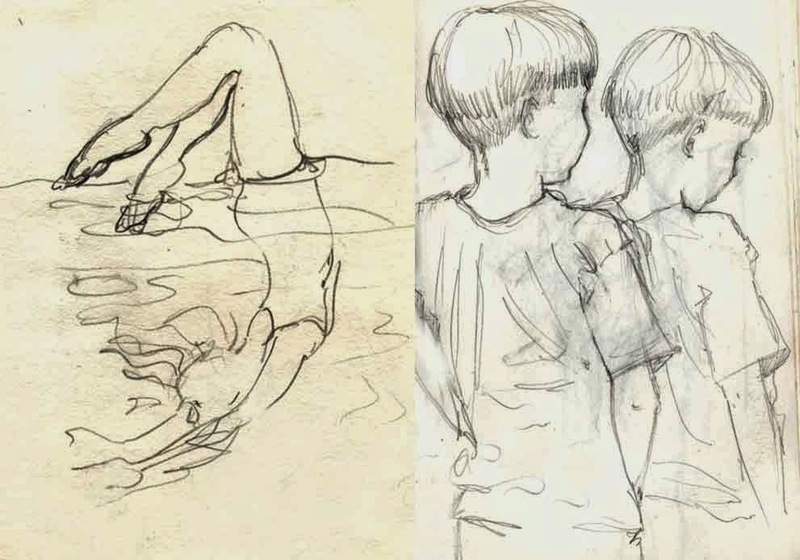 And I love the sketches of your own children. Thank you that is a lovely compliment. I had to be quick as they were never still (except asleep) but I suppose it made me look harder. Lovely! What a journey you've had - and fascinated to know whose portrait is purrfect! Are you on Facebook? I will message some clues and see what you think. These are beautiful. Thanks for sharing this journey! And I love the new banner image. That was my pet lamb who was called "Baa Baa".I think my cousin did that drawing at about the same time. I love the progression of your journey Heather, your new projects certainly show the strength of your experience, I'm not surprised you were picked by Plum Pudding. Well done, I hope your stories find a publishing home soon! Thank you John. That is very encouraging. I'm looking forward to seeing and reading your book about the statue, I've put it on my birthday list. Love your gorgeous character studies, Heather! Thank you so much Anna. See you soon. These are lovely, Heather. 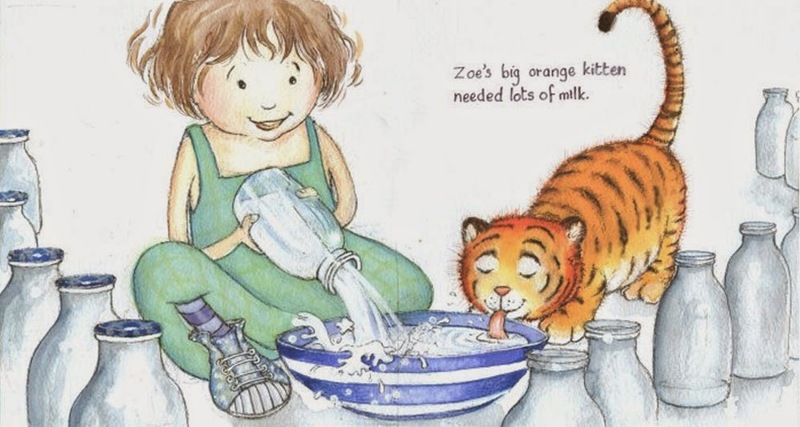 I'd especially like to read Zoe and the Big Orange Kitten - I love that concept!